Thompson Rivers University is located on the Tk’emlups te Secwepemc Territory - situated in the Southern Interior of British Columbia within the unceded traditional lands of the Secwepemc Nation. The region includes 7 nations: Dákelh Dené, Ktunaxa, Secwepemc, St’át’imc, Syilx, Tsilhqot’in, and Nlaka’pamux. TRU is a culturally diverse community. Faculty, staff, and students represent Indigenous, regional, national, and global communities. Increasing intercultural understanding is one of TRU’s five Strategic Priorities with the aim of supporting “diversity, inclusion and intercultural understanding between our Aboriginal, local, regional and global communities” (Strategic Priorities, 2014, p.4). Educational and delivery models should incorporate intercultural experiences for all TRU students. The development of these learning modes is reflexive, inspiring students and faculty to integrate reflections on Aboriginal cultures and histories into their work, as well as local, national and international frames of reference. Focusing on culturally aware education, practice and scholarship enables the development of a just and inclusive university community (Academic Plan, 2011, p.10). Thompson Rivers University has a unique student demographic; over 10% of students are Indigenous from a variety of nations, another 20% join us from more than 85 countries around the globe. It is also very likely that immigration will increase in the Kamloops region; indeed, according to Statistics Canada (2009) by 2031 almost half (46%) of Canadians over the age of 15 will have been born outside of Canada or have at least one parent born in another part of the world. Nationally, there has been an 119% increase in international students since 2008. (CBIE, 2018). Indigenous youth are one of the fastest growing populations (UNIVCAN, 2015); over 400,000 Indigenous youth in Canada will be entering the labour force over the next decade (CIC, 2015). Brad Harasymchuk began his career as a teacher. He has taught in elementary, secondary and post-secondary institutions in Canada and New Zealand. He completed his Master’s thesis at the University of Saskatchewan, which focused on place-based education (PBE). This research evoked a passion for social justice and PBE, which led him to pursue a PhD at the University of Canterbury in New Zealand where he delved deeper into critical pedagogies of place and decolonization. Brad is currently a Learning Strategist in the Faculty of Student Development. He has been working with the Intercultural Development Inventory since 2017. Amie McLean is an Intercultural Coordinator in the Faculty of Student Development at TRU. Her background is in Sociology and her work has consistently focused on issues of equity, inclusion, and social justice in Canada. She is a Thompson Rivers’ alumni who went on to examine post-secondary education funding policies for Indigenous students for her Master’s degree. Her SSHRC-funded Ph.D. dissertation from Simon Fraser University examined the dynamics of culture, class, race, and gender in the BC-based long haul trucking industry. Her published work has examined issues of diversity, (in)equity, and inclusion/exclusion in policy, education, and the workplace. Originally from Zambia, Idah Msiska Watson Originally from Zambia, Idah Msiska Watson is a zealous Public Relations graduate from Thompson Rivers University (TRU) with a special desire for helping others. Having lived and studied in different countries, Idah is culturally sensitive, empathetic, and possesses a genuine passion for intercultural relations. “I think cross-cultural communication is very interesting and there’s a lot one can learn from it.” Through various projects at TRU, including her current role as Enrolment Services Officer, Idah continues to enjoy the privileges of supporting students from all walks of life. 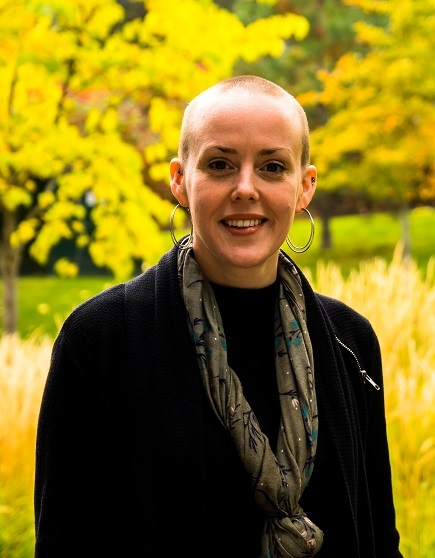 As a former international student herself, she has made it her mandate to ensure that every new student to TRU is safely integrated into the University and Canadian culture. Idah is well known throughout the TRU Kamloops campus and community for her empathy towards others and keen interest in learning and understanding cultural values. Her expertise in intercultural relations stem from extraordinary life experiences, and education, making her a valuable Intercultural Development Inventory (IDI) facilitator at TRU.